At DANM, we make things, and we make things happen. Robots make memories. Analog circuits make algorithmic sounds, and plants make music videos. Neutrinos make pillars of light, drops of water make beautiful math. Surveillance software makes a comedy of Congress. Mannequins make digital theater, military vehicles make fog projections, and make-believe stores make economic nonsense. Games, make visual languages playable, make desire real, and make you actually (digitally) die. You are made into a demagogue, and your presence makes worlds. 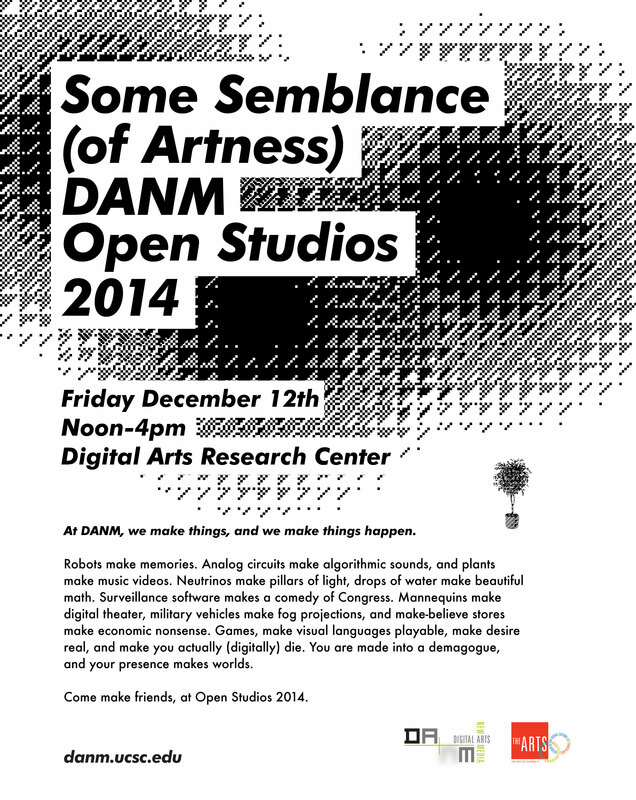 Come make friends, at Open Studios 2014.